Chris has slowed down these last couple of years, partly because of age, I suspect, but mostly because he has gained weight. Still, he sometimes surprises me by being his old, bad self. Last Friday I was cooking dinner when Chris jumped on the kitchen counter. He then opened the cabinet and started rummaging through it. Since we have a small kitchen, I have some cat related items and other things sharing space with our dishes. There are feline supplements, premix for the raw cat food that I make, and a container of catnip, among other things. I thought he was after the catnip but that was on the second shelf and he was clearly interested in the first shelf. I looked at what he was looking at and found a ziplock bag with flavoring that came with my order from NomNomNow. Someone already chewed through the original packaging which is why it was in a ziplock bag. The flavoring helps to get finicky cats used to the new kind of food but our cats never needed an incentive to eat it so I just put it in the cabinet. I put the bag on the top shelf above the bag of Tostito’s that was up there. I figured it was way out of his reach. 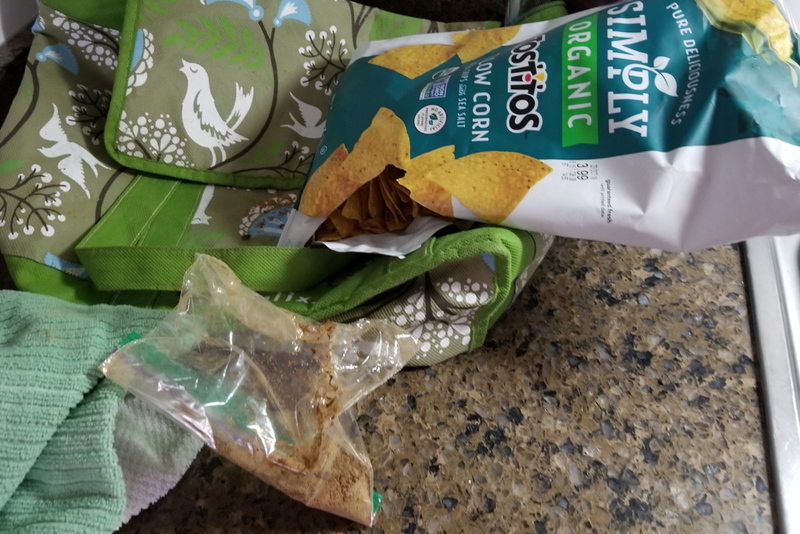 The next morning we went out for a little while and when we returned I found the bag of flavoring mostly empty on the counter and the Tostito’s with a hole in the side of it. Apparently, I underestimated his current ability to be bad. 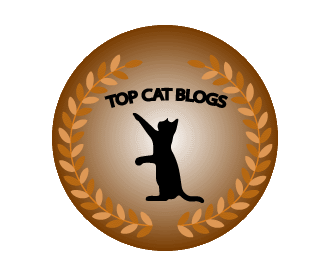 This entry was posted in Uncategorized and tagged Bad Cat, cabinet, kitchen on July 11, 2018 by Charles Huss. Ha! Ha! For sure, sir! For sure! You don’t really expect him to eat Tostitos with human flavoring, do you? With age comes wisdom…and the ability to get away with things a kitten would be disciplined for! Way to go, Chris! What’s Charles gonna do? Replace with with a kitten? Not hardly! He’s used to you by now and kittens, well…lotsa trouble, no matter how cute! 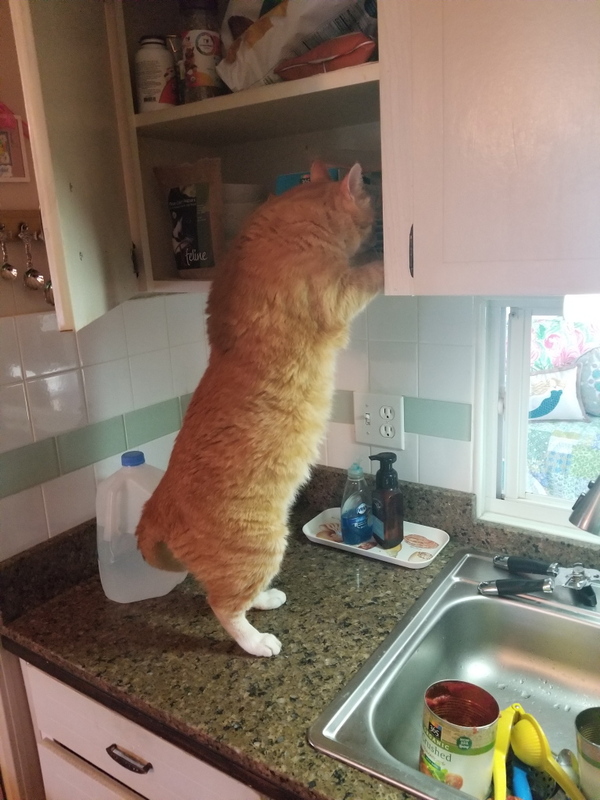 I tried for years to get him off the counters but eventually gave up and now they all get up there. That is true. My wife tries to fix me but it never works. I imagine the cheese flavor is your favorite. MOL! He has to keep up his reputation.